Androgoth is a very talented writer who writes dark and Gothic pieces for his My Gothic Realm blog. He did this quick sketch of Fraz for fun. Fraz might just be pretending to be a vampire here. 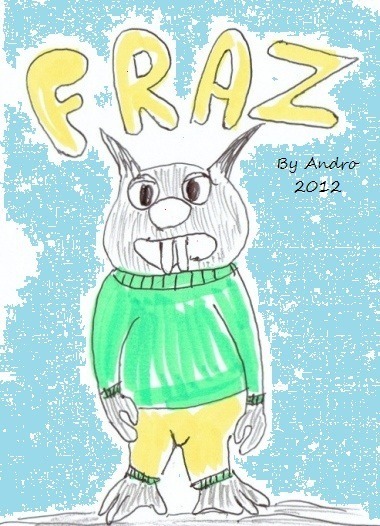 Androgoth’s original sketch of Fraz can be found on his blog here. You’re very welcome, Andro. Your interpretation of Fraz looks great and makes a fine addition to the art gallery. I remember when Andro did this one. It’s nice to see it again. Good job! It was Andro’s first foray into the world of Wombie art!